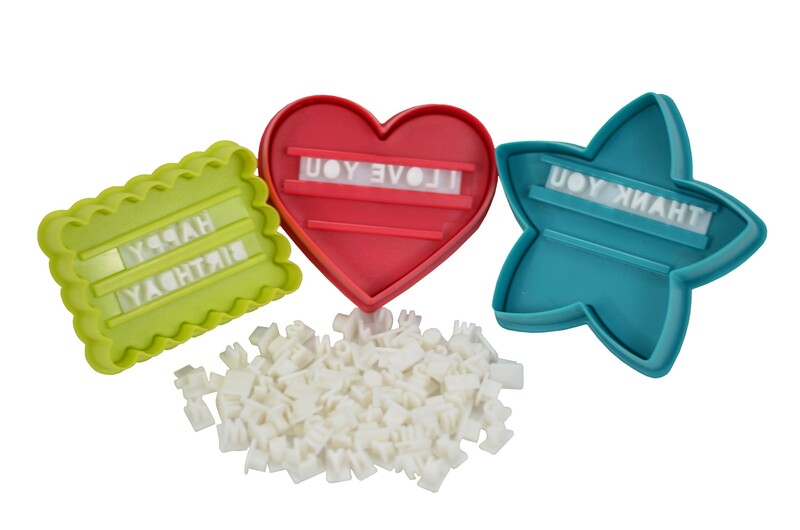 Customize your favorite cookies with your own messages! Perfect for all occasions and holidays! This Cookie Cutter kit is the perfect set for any occasions including Birthdays, Valentines Day, Christmas, Thanksgiving, New Years, Thank You Gifts, Welcome Home Parties, etc. Kit includes a mesh bag that is dishwasher safe, perfect for easy cleanup! - 3 Full Alphabet Letters (plus extra C, E, E, I, J, N, O, R, S, T) for 88 letters total. - Easy to Clean With Dishwasher Safe Mesh Bag! Customize your favorite cookies with your own messages! Overall Dimensions: 7" x 3" x 7"